Do you have a PlayStation Vita and a love of Japanese games, but feel the games you want to play take too long to get localized or—worse yet—will never leave Japan? Well, there is good news for you: The Vita is region free and can play any game from any region. However, there is also some bad news. It isn't as simple as logging into a Japanese PSN account and downloading the games you want. If you want to download from the Japanese PSN instead of importing a physical copy you will have to reset your Vita to the Japanese region first. But don't fret! It's not that difficult to do. And we at Kotaku East are here for you with the information you need to play Japanese games on your Vita, no matter the region you live in. In order to play Japanese games on your non-Japanese Vita, you will need a Japanese PlayStation Network account. If you don't already have one, they are free and you can sign up for one via a PS3 by following our handy guide. On the Vita, both the console itself and its memory card are separately tied to your PSN account. Therefore, in order to play Japanese games, you will need to restore the Vita console to factory default and either a) format your memory card—thus deleting everything on it—or b) buy a second memory card and use one for each region. For the sake of this guide let's assume you have only one memory card. So unless you are okay with losing all your saved games, you will want to backup your Vita (console and memory card) to your PC. This way, when you are done playing Japanese games, you can reset the system to its original PSN account and settings and restore all your files back to what you have now. To backup your Vita, download and install the Content Manager Assistant from Sony's official website. After it is installed, follow Sony's official guide to get all your data backed up safe and sound. Step 2: Now turn on your Vita and go to the home screen. Step 3: Touch the "Settings" icon. Step 5: Scroll down and touch the "Format" icon. Step 6: Now touch the "Restore the PS Vita System" icon. Step 7: You will now get a new screen telling you this will erase all data on your Vita. Touch "Restore." Step 8: Touch "Yes" to deactivate your account. Step 9: Touch "Yes" to continue. Step 10: Touch "OK" when deactivation is complete. Step 11: Sit back and watch it restore itself to the factory default. Step 12: Touch and pull the corner of the screen. Step 13: Select English for your language and hit "Next." Step 14: Select your time zone and hit "Next." Step 15: Select your date and time and hit "Next." Step 16: Select "Yes, I do" and hit "Next." Step 17: Select "Use" and hit "Next." Step 18: Connect to your wireless internet by tapping on your wireless router. Step 19: Enter your wireless network password (if it has one) and hit the enter key. Step 20: Enter the email address associated with your Japanese PSN account in the top box. Enter your Japanese PSN account password in the lower box. Then touch "Next." Step 21: If you have a credit card associated with your JPN account, you will get the above message. Hit "Next" (the bottom right button) to confirm this information. Step 22: In the second box from the bottom, enter your month and year expiration date. In the box below that, put your credit card's security code number. Then hit "Next" (the bottom right button). Step 23: Your Vita is now linked with your Japanese PSN account. Hit "OK" to continue. Step 24: Watch the Vita first time startup movie. Step 1: Turn off your Vita and flip open the covering on its bottom right hand side. Step 2: Take your Vita memory card and push it into the slot. Step 3: Turn on the Vita. 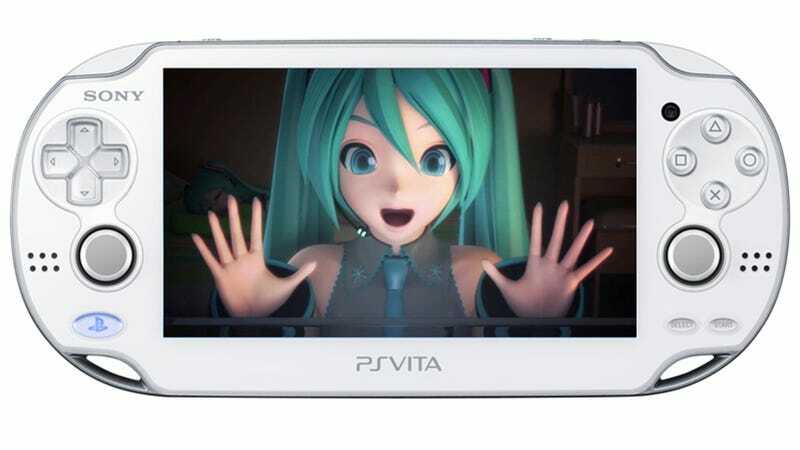 You should now be looking at a pop-up window saying the Vita must be reset to use the memory card. Touch "Yes." Step 4: Now you will have a new window telling you your memory card is linked with your non-Japanese account and telling you it must be formatted to use with your Vita. Touch "Format." Step 5: Touch "Yes" to confirm you really do want to format the card; wait for the memory card to finish formatting. Step 6: Congratulations. You are now ready to play some Japanese Vita games. So you've played all the Japanese games you want to play and are eager to get back to the latest games released in your region. Well, all you need to do is repeat parts two and three of this guide. The only thing you will need to do differently is log into your original PSN account instead of your Japanese one at Part 2: Step 20 to switch your region back. Then connect your Vita to your computer and restore the backup of your Vita you made back in Step 1 (or, alternatively, insert your original Vita memory card if you used two). Enjoy your time with your imported Japanese games. Stay tuned to Kotaku East for our guide detailing how to navigate the Vita's version of the Japanese PlayStation Store early next week. Update: The title was changed from "How to Play Japanese Vita Games on Your Non-Japanese Vita" to "How to Play Games From the Japanese PSN on Your Non-Japanese Vita" to better reflect the contents of the piece. The introduction paragraph was also changed to better reflect that this is a guide having to do with downloading Vita games from the PSN and not importing a physical copy.